William Holdsworth was born in 1879 in Yorkshire, England, son of John William and Emma Holdsworth. He died on 18 March 1937, survived by his wife. 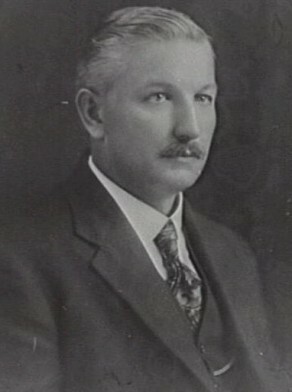 William Holdsworth was elected member of the NSW Legislative Assembly for Sydney, 1925-27. William Holdsworth was elected Alderman for Pyrmont Ward, 2 December 1918 to 30 November 1924 and for Denison Ward, 1 December 1924 to 21 December 1927. He was a member of the Electric Lighting Committee in 1920 and the Electricity Supply Committee, 1921-27 and its Vice-Chairman in 1921. Between 1919 and 1927 he was a member of the Health and By-Laws Committee. City of Sydney Archives: Aldermen’s Files; Photo: CRS 54/118 and 54/155.